April 2015 - The Connecticut Network's education program ADVOCACY: Turning the Gears of Democracy was nominated for a 2015 Emmy� by the Boston/New England Chapter of the National Academy of Television Arts and Sciences (NATAS). The entry was nominated within the Informational/Instruction Category. The Boston/New England Chapter is dedicated to the advancement of the arts and sciences of television, the fostering of creative leadership in the television industry, and the encouragement of excellence in artistic, educational, cultural and technical progress. Connecticut Chapter awarded the Connecticut Network its Excellence in Journalism for In-Depth Television Reporting coverage of the 2011 Inauguration Day at the State Capitol. The coverage was comprised highlights from CT-N's Complete Coverage of Inauguration & Opening Day with Diane Smith, recorded on January 5, 2011. 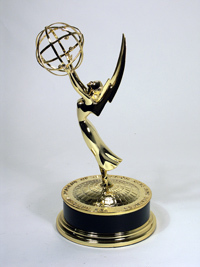 April 2012 - The Connecticut Network was nominated for an Emmy by the Boston/New England Chapter of the National Academy of Television Arts and Sciences. The entry, 2011 Inauguration Day Coverage, was nominated for the Outstanding Special Events Coverage category. At the 2011 Connect-Ability Employment Summit, the Connecticut Public Affairs Network - the nonprofit manager of CT-N - received a Top Employer Award for its dedication and creativity in recruiting disabled employees. This honor specifically acknowledges CPAN's efforts to retain visually-impaired workers for the creation of CT-N's closed captioning for the Deaf and Hard of Hearing. The Connect-Ability Top Employer Awards recognizes Connecticut companies for their leadership and accomplishment in recruitment and hiring of people with disabilities. Past recipients have included Aetna, Advo, Deloitte, IBM, Northeast Utilities, Pfizer, Mohegan Sun, and Travelers' Insurance. The 2011 awards were presented at the Connect-ability's Employment Summit at the Connecticut Convention Center on June 16th. Connecticut Foundation for Open Government awarded CT-N with its Open Government award to acknowledge the network's continuous dedication to transparency in government. The honor was the first of its kind to be given by Connecticut Foundation for Open Government, who is dedicated to promoting the open and accountable government essential in a democratic society. The Society of Professional Journalists Board of Directors and Freedom of Information Committee recognize individuals and groups across the country for their important contributions in the area of open government. 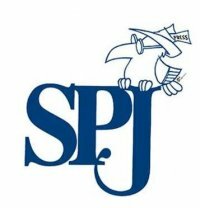 The Society of Professional Journalists Connecticut chapter has honored CT-N for its commitment to allowing citizens to witness and understand government at work. The Connecticut chapter of the Society of Professional Journalists gives the award each year in memory of Loy, an early Connecticut Freedom of Information Commission member and advocate for openness. Independence Unlimited, a leading advocacy organization for people with disabilities, presented CT-N with its Media Image Award in recognition of the network's efforts to provide closed captions for the hearing impaired on its state government and public affairs coverage. The CivicMind Awards recognize programs that energize civic participation and responsibility, and improve civics education. For a new product, service, or process innovation that has solved a problem or leveraged an opportunity for an organization. The Connecticut Network's television and webcast coverage of state government helped the Connecticut General Assembly win the Center for Digital Technology's 1st annual Digital Legislature Awards.